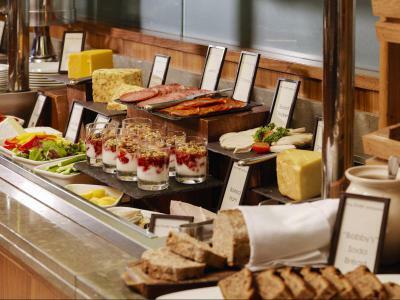 Enjoy 4* Luxury accommodation and savour our award winning breakfast buffet with over 100 items including our chefs egg & pancake station! Our Luxury 4* accommodation is located in the heart of Limerick City. The Award Winning hotel offers a wide range of Spacious Rooms with Panoramic Views of the River Shannon, 40" Flat Screen TVs, FREE Wi-Fi, On-Site Car parking.